The Brandeis School of Law and the Justice Action Network co-hosted a Criminal Justice Reform Symposium Oct. 10 which featured a panel composed of a former district judge, a former U.S. Attorney General, a former congressman, and a former U.S. Attorney for Utah. Each panelist agreed that 2018 is a time of extreme political divide as shown in media, and one of the most important bipartisan issues in the federal government is criminal justice and prison reform. The First Step Act was a frequent topic of discussion among panelists. The law has already been approved by the House of Representatives, and it aims to improve conditions for incarcerated people in the U.S. It now needs approval from the Senate and the president to become law. The audience watched a video that featured Rep. Doug Collins, R-GA, who introduced the bill, and Rep. Hakeem Jeffries, D-NY, discussing the act, and their hopes for how it could change criminal justice practices in America. Panelists said their goal for the evening was to push the idea of rehabilitation, not incarceration and to reduce the recidivism of inmates repeatedly going to prison, especially those facing non-violent crime sentences. Former U.S Attorney General Michael B. Mukasey said incarceration is often a necessity in America. “There were a number of cases that I felt we really protected society,” Mukasey said of his role as attorney general. Mukasey discussed one of the more prominent cases he worked on during George W. Bush’s administration involving a high-profile terrorist plot. President and CEO of the Louisville Urban League and former District Court Judge Sadiqa Reynolds was also on the panel. Reynolds said she feels the system is not working for a variety of reasons. “We need to work more on the front end. We are too smart of a country to only be working on the reactive end,” Reynolds said. Reynolds said America’s incarceration process needs to stress empathy. “We really need a humanization process; it’s very easy sometimes to just not see the person as another human being,” Reynolds said. Reynolds wrapped up by saying everyone is capable of rehabilitating. “I believe in second chances, but I still want to see justice. I want to see people treated with the dignity you would want a loved one treated with,” she said. Brett Tolman, former U.S Attorney for Utah said the Elizabeth Smart case was relevant to the prison reform discussion. Smart was kidnapped from her home when she was 14 and was held captive for 9 months by Brian David Mitchell and his wife Wanda Barzee before being rescued. “5 years in the state system with no convictions, it was obvious they were guilty. It was cut and dry, these were two individuals who kidnapped her from her home when she was young,” Tolman said. He said cases like this show that our criminal justice system is flawed. “95 percent of inmates get out. Do you want them to get out without that mental health treatment like Wanda Barzee? Do you want them to get out without training or some education, so they can avoid being recidivists? Or do you just want them to get everyone out? Right now, the federal system is the void of that, and there is very little to take advantage of,” Tolman said. He said it seems simple, but change is now coming on the federal level and people’s opinions about incarceration have evolved. “That decades-old, ‘Mr.-Tough-On-Crime’ – it might have gotten someone elected 20-30 years ago, but that’s all it did. Otherwise all it’s doing is warehousing people,” Tolman said. Former Utah Congressman Jason Chaffetz provided a business perspective to the panel and offered the audience some insight into the annual cost of incarcerating individuals. “It costs $33,000-$36,000 a year to incarcerate one person,” Chaffetz said. He said more than a third of the Justice Department’s budget goes to prisons, and the Bureau of Prisons is the fastest-growing part of the budget. 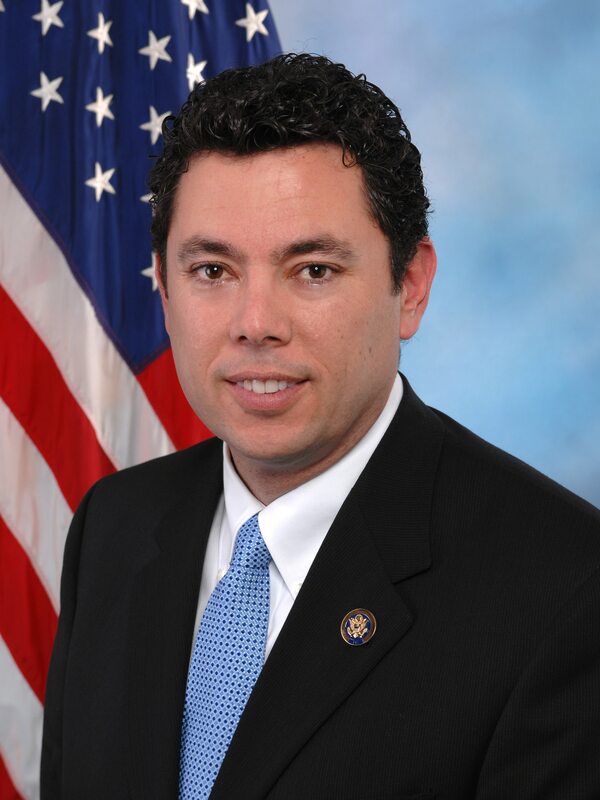 A simple fix Chaffetz offered during his time in congress was to changes the bureau’s name. “In every state it’s called the ‘Department of Corrections,’ except the federal system. I felt strongly that it needed an attitude adjustment,” Chaffetz said. Chaffetz said prisons don’t exist just to incarcerate people. “What we should be doing as people and a population is asking, ‘What is the goal? What does the end look like?’ We want to reduce recidivism,” Chaffetz said. The panelists and hosts of the symposium agreed that the First Step Act is a great start to the U.S.’s prison reform, but it’s just what its name describes: the first step.